As we watch the old year bow out and the new one come and greet us, let’s put that new youthful energy into our Grange work. It is a new year. Let’s start anew our work as good Grangers. Lecturer is a key position in any Grange, but, no where is the Lecturer’s work more important than in your own Subordinate or Community Grange. 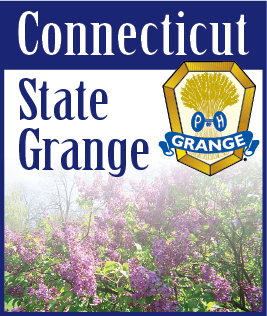 Without your Grange and mine we wouldn’t have the need for Pomona and State Granges. We are the backbone of this organization and Lecturers hold the key to keeping members active. We need to get more people involved in the programs. We need to have interesting programs. We need to have members want to come to Grange – not have them feel that they have to come. I’m not trying to slight any other officer – all officers play an important part in the welfare of the organization. But, we, as Lecturers have to lead the way. We have to show enthusiasm. If we don’t act like we are enjoying the program, than no one else will enjoy it. I have been to several smaller Granges lately and enjoyed some really good programs. Please keep up the good work. You don’t have to have a huge attendance to put on an interesting program. There is a storm coming. What will you do when you can’t get out of the house? Why not write an Essay. The rules are pretty simple. -- Write an essay. It should be 100 words or less entitled “The Grange Then and Now”. Then can be anytime from 5 years ago to 125 years ago. Deadline for entries is October 1st.